– Uses the AT&T 4G network for maximum coverage across the USA & Puerto Rico. ~ Ever left your car wondering if you locked the doors? ~ Receive confirmation for all commands. ~ Ever lost your keys or lock them in your car? ~ Receive confirmation that the command was successful. ~ Access your trunk/hatch with just a tap of the screen. ~ START AND STOP your engine from virtually anywhere! ~ ENGINE RUNTIME displayed right in your app. ~ Runtime extender restarts your runtime if you’re not ready to leave yet! ~ An optional remote start system is required for this feature. 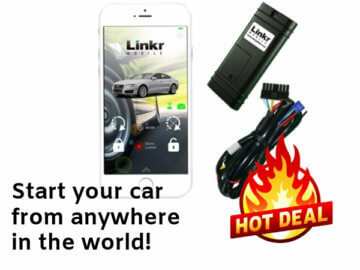 ~ Find your vehicle location if it’s stolen!